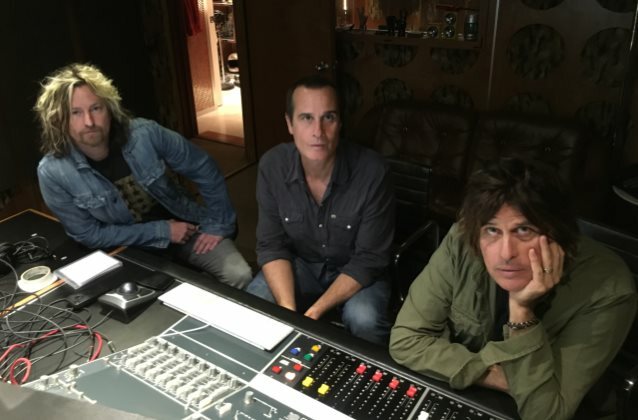 MetalRockNews: Stone Temple Pilots: "It's impossible to replace Scott Weiland"
Stone Temple Pilots: "It's impossible to replace Scott Weiland"
Stone Temple Pilots members Dean and Robert DeLeo discussed the band's vocalist search in a new interview with Rolling Stone. You can read some excerpts below. Dean said: "We've been neck-deep in the process of auditioning different singers, and we've got some guys we like, and that process will continue. We're looking for somebody that fills a lot of criteria, man, woman. Like I said, there's a couple of people we really dig, and we have some more coming in." Robert added: "Look, we're not trying to replace… It's impossible to replace Scott Weiland, it really is. We created something that only the four of us could create, and moreso it's about moving forward, but it's also about someone honoring that, and being able to get their creativity around that. So, like Dean said, there is a lot to ask of someone, someone that can move this band forward." He continued: "I enjoy still playing the songs that Dean and I wrote. I wanna continue playing those songs, and I think people still wanna hear those songs, and that's what we wanna do. The three of us have something that has… We've been playing music half our lives, and you can't just dismiss that. It's something that I appreciate and I cherish in my life, and I wanna continue doing that."